Office Space - Talbot Green, Rhondda Cynon Taf. 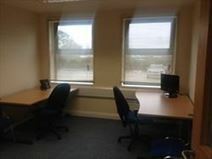 With easy access off Junction 34 of the M4, within 15 miles of Cardiff City Centre, this centre offers high quality office accommodation, with panoramic views over open farmland. This is an attractive location for your business.